As we told you in Part 1, there is a formula to creating a stroker engine. Bore size, overbore, crankshaft stroke, and connecting rod length must work together to produce the desired displacement without creating clearance problems. 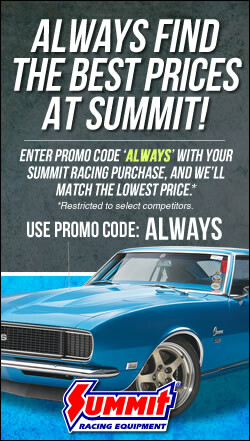 That’s why we worked with the experts in the Summit Racing technical department to do some of the essential math for you. Part 1 included a guide to popular Chevy stroker setups. This post focuses on Ford. 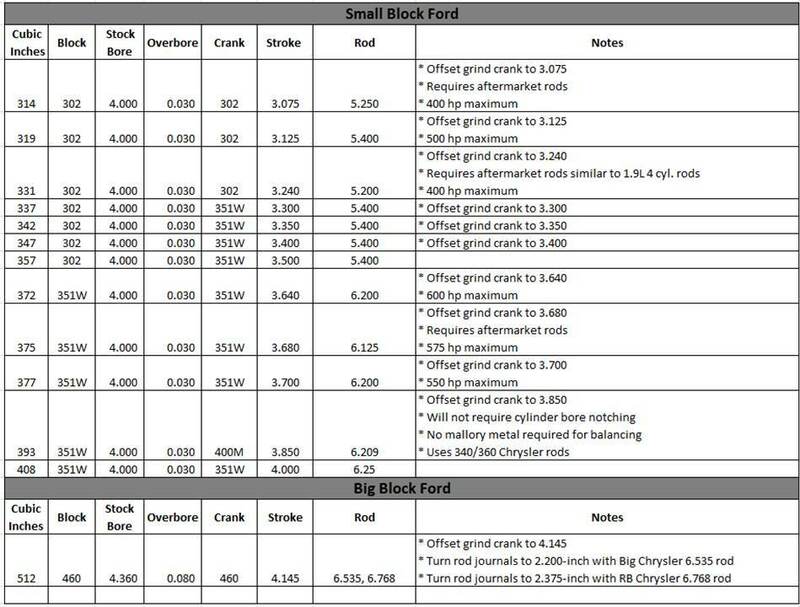 We’re also compiling a list of all the common stock Ford motor Bore & Stroke configurations, check it out here. What combination of stroke and connecting rod length will turn your 302 into a 347? How can you get 408 cubic inches from a 351 Windsor block? Start with this guide to popular Ford combinations. And be sure to let us know which Ford stroker engines should be added to the list. With a Dart 8.2″ deck block like a 302 you can also do 3.25″ stroke with a 4.125″ bore and do a big bore 347. Makes a great high reving turbo engine like that.